Of the seven years that my son, Rifat has lived, he has spent the last three years in different hospitals. We live in a small village in Bangladesh. Although we lived hand to mouth, we were content in our family of four. My husband, Asid and my two children complete my family. We didn't need more - till we learnt that Rifat had cancer. My husband is a construction worker in Bangladesh and it is difficult to fill my children's stomach with his income. In certain months, my husband has no work. Many of our friends and neighbours who also work as construction labourers, have moved to cities or to India to find work. My husband never wanted to go to relocate. Although we fight with poverty every day, we make sure we send our children to school. We had to handle many objections when we decided to send our elder daughter to school. But since I never had a chance to get education, I was adamant that my children would achieve, what I could never do. 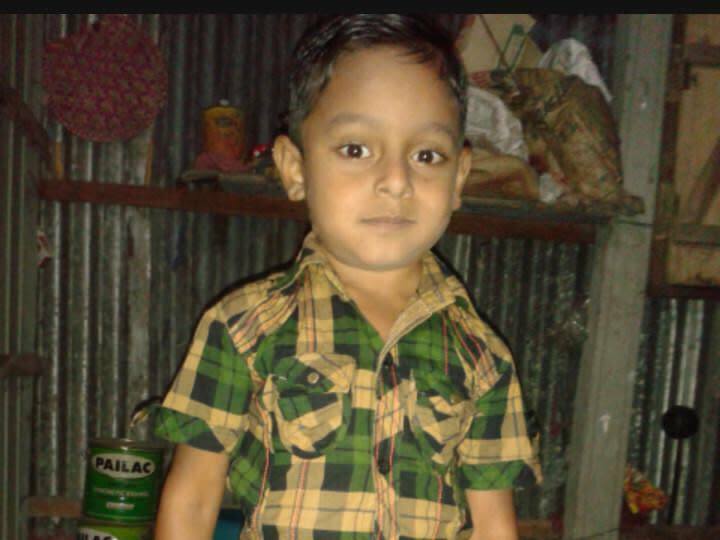 Rifat is the youngest in the family - the baby of the house. But when Rifat was just 4 years old, everything changed. One day, Rifat had just returned home after playing, when we noticed a little swelling around his left cheek. Soon, he started having fevers. His entire body swelled up. We had to take him to the doctors immediately. The reports revealed that our son had lymph cancer. Cancer cells grow in the bone marrow and the immune system is severely affected. At an age when he was supposed to explore everything around him, Rifat stopped playing, going out and even eating. He became feverish and remained tired all the time. It broke my heart to see him suffer so much. The early treatments of draining lumps didn’t work. New lumps kept coming up, faster than they could be dealt with. No medicine or treatments seemed to work. We couldn’t believe that our apple of the eye had such a deadly disease. Doctors showed us hope that chemotherapy could treat him and he would get better. 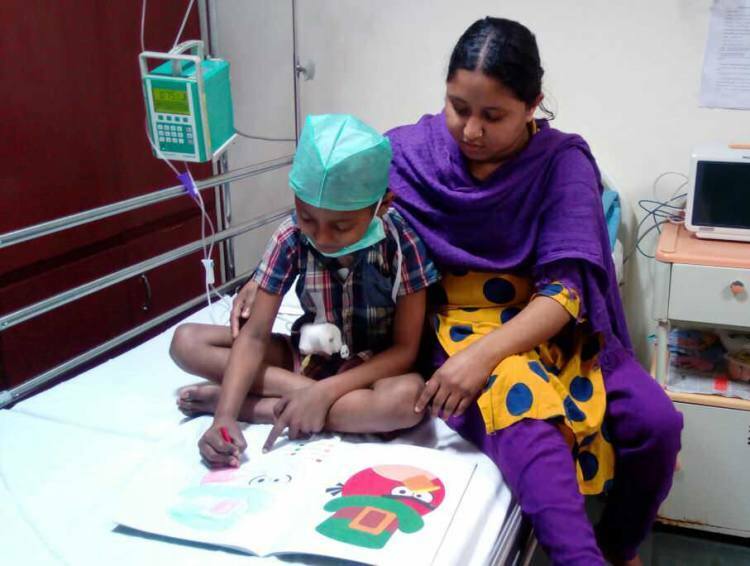 We started treating Rifat with chemotherapy in 2013 in a hospital in Dhaka. We were already neck-deep in debt, when suddenly we learnt that chemotherapy has become ineffective because the cancer had relapsed. The doctors said that bone-marrow transplant was the only way to save him. We may not have money, but even we love our children. I couldn't have let him die. 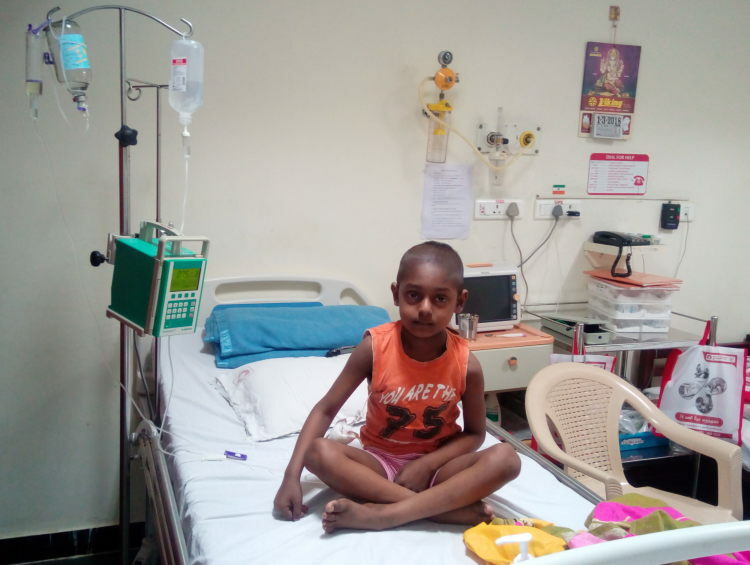 In three years, we had already spent about Rs 16 lakhs for Rifat’s treatment. Because we had no money left to pay the doctors anymore, they stopped treating my son. My husband and I ran from hospital to hospital with our son just to figure out what we could do to save him. In the process, my daughter also had to drop out from school. Our poverty was in the way of saving our child. Rejected everywhere, one of our relatives suggested we get him treated in India - where we could find better treatment that would save our child. While we were scared to go to a new country for our son’s treatment, India treated us in a way we had never expected. People here didn’t understand our language well. We thought language would be a barrier. But starting from doctors to fellow patients to bus drivers and shopkeepers to strangers on streets, everybody has been very helpful. India doesn’t feel like an alien land any more. It is the place that gave my child a new life. We have been living in India since August 2017. Luckily, my daughter was a 100% match for Rifat. We told the doctors that we had no money left for the treatment. While we had lost all hopes to save our 7-year-old, it was only the doctors’ devotion that helped us save him. With the help of the doctors at Meenakshi hospital, the bone marrow transplant has successfully been carried out on Rifat. Now, he needs to recover his immunity before we can go home. 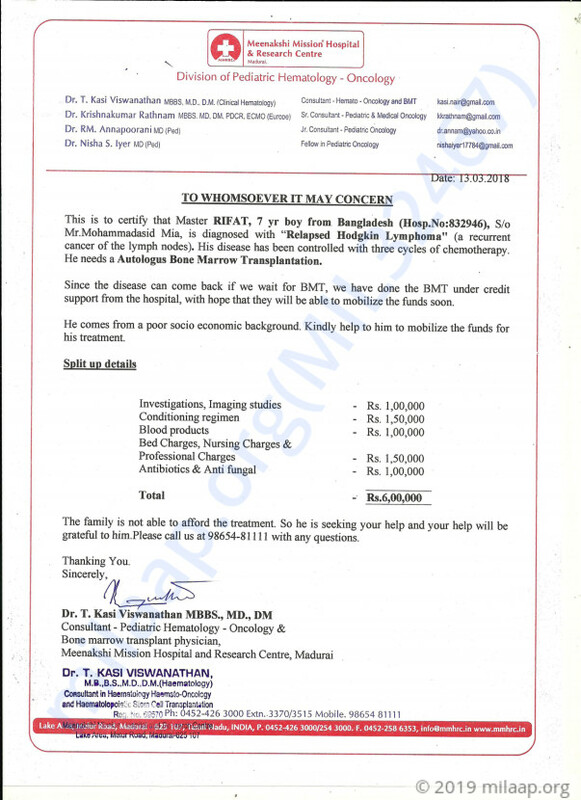 It is this last leg of his treatment that we are really struggling to complete. 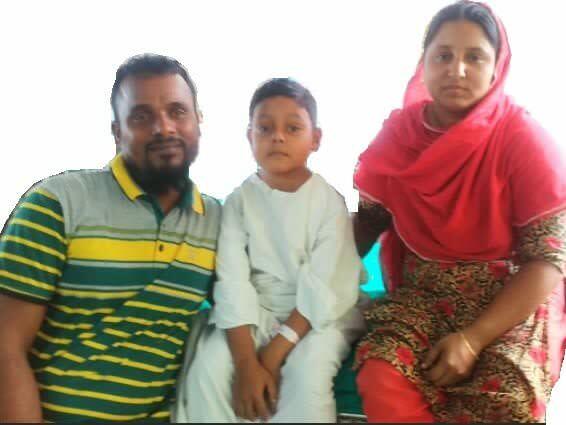 Rifat’s follow up treatments are still ongoing and we have no money left to pay for the expenses of the transplant. His expenses have reached up to Rs 6 lakhs. Only your support can help us conduct necessary treatment and go back home. Rifat is doing well. She is currently at home and is recovering. She comes for his regular check ups to Out Patient Department. Rifat had Hodgkin Lymphoma - a type of cancer in Lymph nodes. He suffered recurrent cancer and which is currently being controlled with chemotherapy.He underwent Bone Marrow Transplantation with his own stem cells as a chance to get complete cure from his disease. He has come out of the procedure with minimal complication. He is from low socioeconomic background and they have travelled far from Bangladesh for medical care. Please keep supporting him so he can live a happy life again.